Adobe&reg; Acrobat&reg; 7.0 Professional software is the advanced way to create, control, and deliver more secure, high-quality Adobe PDF documents. Assemble electronic or paper fileseven Web sites, engineering drawings, and e-mailinto reliable PDF documents that are easy to share with others using free Adobe Reader&reg; 7.0 software. Enjoy improved performanceWith improved performance you can quickly convert, collect, and organize Adobe PDF documents. Extend commenting capabilities Enable anyone who uses free Adobe Reader&reg; 7.0 software to actively participate in reviews. Easily design Adobe PDF forms Use Adobe LiveCycle Designer 7.0 software (now included with Adobe Acrobat 7.0 ProfessionalWindows&reg; only) to create PDF forms that look like the paper forms they replace. Incorporate business logic, such as calculations and data validations. Organize Adobe PDF documents Quickly find a list of Adobe PDF documents you have recently opened. View them as thumbnails, and drag and drop files into related collections. Enjoy improved attachment capabilities Easily attach source documents such as spreadsheets, multimedia files, images, and drawings to an Adobe PDF document. That's right if you have fillable forms created in a previous version and expect to change them, your out of luck.I thought compatibility was the cornerstone of Acrobat. Our firm does over $300 Million worth of business a year.We thought that Acrobat Professional ability to create fillable forms that could be shared, updated, and filled out by clients was a blessing.We not have dozens of worthless forms. And then there's the embarrassment when a client with Acrobat 7 can't fill out a form.THINK OF THE COST! At first, I thought I was doing something wrong.But, when I called support I was told that forms were not compatible.The service person then told me that she thought there might be a fix.However, without a service plan we'd have to pay to talk to Technical Support.We paid good money for this software (we buy multiple licenses) and only had this version for two days. Considering the magnitude of this issue.I'm guessing there are other major problems with this release of Acrobat.. So far, I'm very pleased with this upgrade from my Adobe Acrobat Standard 6.0 to Adobe Acrobat Professional 7.0. The installation process went flawlessly and everything still works. Also, this version seems to start up MUCH faster than the previous version. It might be due to the "Adobe Acrobat Speed Launcher" which is now in my XP Home Startup Group, but since that doesn't seem to lengthen my Windows boot process, it's transparent, and welcome, to me. A couple of other very welcome changes are that 1) Acrobat appears to have linked into Windows Explorer: using the Thumbnail view, Windows Explorer now displays the first page of PDFs instead of just the generic Acrobat logo, and 2) the Organizer tool gives Acrobat the ability to do some PDF-related document management. Combined, these two capabilities might give enough functionality to let me stop using Scansoft's PaperPort for my document management needs and just use Acrobat. I'll keep looking into it. 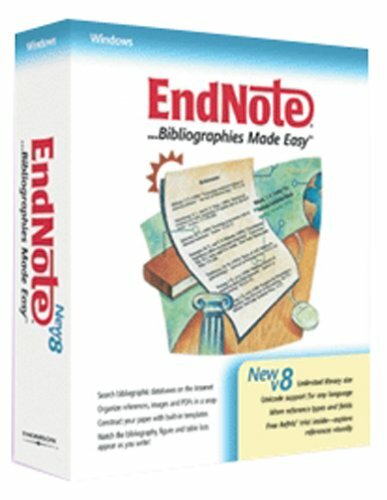 UPDATE:After working with Acrobat as my PDF document manager for about a week and having gone through its entire help file (793 pages), I've decided to use it instead of my previous Scansoft PaperPort 9/OmniPage Pro 14 setup.It's not the best in the world, but it's workable.My document management needs are simple:I need to scan in my receipts and account statements to PDF format, OCR them so they're searchable, and manage them so I can find them.For various reasons that are unimportant here, Scansoft has irritated me into trying alternatives:Adobe Acrobat appears to be it.I can use Acrobat's Create PDF function to scan my documents and OCR them.I can then use its Organizer to see those PDFs in one of three ways:1) grouped under various History folders, 2) organized into a directory tree with options to set up Favorite folders, or 3) in various collections that I can produce which include links to documents of my choice.For text searching across my disk, I still use Copernic Desktop Search (free) as I did with Scansoft (though I could set up a Search Index in Acrobat, instead).My only complaints are that 1) the scanning/OCR process is slower in Acrobat since it opens and closes my scanner's interface for each page (instead of leaving it open), 2) Acrobat's OCR results aren't as accurate as Scansoft's, and 3) if I scan to a Searchable Image, Acrobat doesn't give me an opportunity to correct Suspect words.If I scan to Formatted Text & Graphics, I can edit Suspect words, but I end up with Acrobat's attempt to recreate the document instead of an actual picture of it with searchable text hidden behind it.Oh, well.I can live with that since it will allow me to get rid of two applications and the PDF it produces is about half the size of what I was getting with Scansoft. The first thing I did was uninstall my previous copy of Acrobat (version 6, standard). I did this through Start | Control Panel | Add or Remove Programs and uninstalled all the Acrobat stuff in the reverse order I installed it. I then rebooted (just to be sure) and ran this version's SETUP program. After I entered this version's serial number, it asked me for my previous version's CD for verification (it also gave me the option of verifying my upgrade status by phoning Adobe). I put the CD in the drive, it recognized it, and finished the installation. It then prompted me to activate the product over the internet (which I did without problem). Again, just to be sure, I rebooted (which wasn't necessary), and started up Acrobat. It immediately prompted me to register via the internet (which I did without problem) and asked if I wanted it to automatically check for critical updates. I said "yes" and it went out and got the current 7.0.1 update. I installed that, rebooted (not necessary), and was up and running. I started up all my programs which might use Acrobat files, opened a few of them, and all looks good. Even though Acrobat's OCR process isn't as accurate or as fast as I'd hoped, everything else looks good. So, I'm giving the product a rating of 5 stars out of 5. As a user of Acrobat from version 4.0 I have to say that once the use of a new version becomes familiar, there has always been a definite improvement. New users, of course, don’t have any choice about what version they will be using, so comparisons to previous versions is rather pointless for them. Users of version 7 should be aware that many of 7.0’s features will only be readily available to those using Windows and Acrobat Reader 7.0 to view their documents. Yes,Acrobat Reader 7.0 is now available for Linux, but the installation does not automatically link to any media players installed, andmany embedded media files will most probably not be available. Cross document and many other links should also be given due consideration, as they will fail in a Linux installation. If in doubt, check. The ‘Reduce File Size’ is a useful feature carried over from 6.0. This should be used to downgrade an Acrobat 7.0 file for users who will be using Acrobat Reader 5.0 - which is a lot -to eliminate the alert pop up about Reader incompatibility, even though there may be no incompatibility. This will apply to any .pdf with only images and text, etc. Not doing so has been frequently known to cause a recipient to panic and refuse to open the .pdf. This feature will also have a surprisingly beneficial result for the size of a .pdf. Reducing from 250 - 150 KB. is not unusual. But be sure to check the effect on image quality, if this is an important consideration. The extra integration with MS-Office is more of a nuisance than a convenience, I find. But maybe casual newbies will appreciate this. Anyone using Word for publishing purposes should consider InDesign and Framemaker instead, as they are more properly integrated with Acrobat in the first place. The price of Acrobat has certainly increased dramatically since the days of 4.0. But then it’s no more expensive than a decent colour printer, and is a lot more versatile. I train over 100 people per month on Acrobat. It is the only program that can bring the output from all programs together in one format and maintain document integrity. All the students are loving the improvements in Acrobat 7. The adding of macros into Office Products is a great productivity tool that is universally accepted by all my students. I get several questions per month from students wanting to add the macros when Windows security is set too tight for all the macros to be added. Just printing PDF through the distiller does not create all the intelligence that is available in a PDF document. Adobe is real good about asking for comments from the user community. If you want new features or changes in the next edition there is a portal on the Adobe website for your comments. ISO is adopting numerous standards around PDF. PDF-A (archival) will be realeased in the next couple months. It will be the only format that can handle text, raster and vector. ISO PDF-E (engineering) is under development - it will revolutionize engineering. Acrobat 7 allows creation of 3-D PDF files that can be annimated and viewed in the Acrobat 7 Reader. Adobe publishes the PDF spec and encourages developers to expand the program. You can purchase third-party plugins to expand the functionality. Finally we have a common format for the computer world to communicate. It will not replace other programs, but will allow us to communicate in one format. Imagine a 3000 page file with outputs from AutoCAD, Word, excel, microstation, scanning and numerous other programs. Now imagine searching everyting including drawings in 2 seconds. With Acrobat 7 you can do it. I paid full retail price for Acrobat 7.0 based on my assumtion about Adobe's reputation.What a huge mistake!Acrobat 7 will take over your machine and spread its tentacles into nearly all of your applications. The arrogance of Adobe is truly amazing.I couldn't make it work with Netscape, but I also couldn't remove it and use Reader 6.0 either.It seems they know best how you want to use your computer, and they enforce their methods upon you.Good luck if you have any problems or questions: the technical support people wanted $40.00 to answer a simple question, and this was immediately after I purchased and registered the product.I finally had to uninstall Acrobat completely from my machine.I've just wasted $450.00. With improved performance you can quickly convert, collect, and organize Adobe PDF documents. Enable anyone who uses free Adobe Reader&reg; 7.0 software to actively participate in reviews. Use Adobe LiveCycle Designer 7.0 software (now included with Adobe Acrobat 7.0 ProfessionalWindows&reg; only) to create PDF forms that look like the paper forms they replace. Incorporate business logic, such as calculations and data validations. Quickly find a list of Adobe PDF documents you have recently opened. View them as thumbnails, and drag and drop files into related collections. Easily attach source documents such as spreadsheets, multimedia files, images, and drawings to an Adobe PDF document. Note: To qualify for this upgrade version you must be a licensed user of Acrobat 4.x, 5.x or Acrobat 6.x, 7.0 Standard. Massive compatibility issues - Beware! Great package for work and efficiency. I bought this product about a month ago and iWork made my life more efficient with all the easy functionality and integration that Apple has created. It is fully integrated with .Mac and your on-going web\work sites. The main application I use is Keynote which is an easy to use presentation sofware that places all the needed functionality for a quick presentation. Keynote has a very easy to use interface and similar functions to Pages which makes the transition from app to app very easy. The only downside I thought was the ramp up time to understand and get use to the apps. Recommend it for all Mac users new and veteran. A number of reviewers have commented upon how easy this program is and, I suppose, in one sense it is, especially if you stick to using the templates.However, as one who has had occasion to work with "Adobe Pagemaker," this program can do sophisticated page layout and, as such, there will be a learning curve for the inexperienced. But, the User Manual is good and there are good books coming out, like one from Visual Start in July, that will help people learn. It is wrong to think of this program as a word processor "in competition with" Word. "MS Word" is a robust word processor; "Pages," as its name implies, is a page layout program.Having also worked with "MS Publisher," the real point of comparison and not "MS Word," "Pages" far exceeds "Publisher" in capabilities and yet for relatively simple layouts is as easy as "Publisher" to use. I have not as yet put any real strain on the program, but at first blush, on my Powerbook G4 1.5, speed of operations is just fine.Yes, as a few reviewers have pointed out, some of the palettes could be more elegantly combined.One tends to get a clutter of open palettes.But, these are refinements that will be made in future editions, I am sure. Bottom line: If you want to layout pages with a lot of the sophistication possible in the more expensive "Quark" and "PageMaker" programs; if you want to be able to export your documents to universal portable PDF file format and print out beautiful documents; if you want to pay, basically, only about $40 for these benefits ["Keynotes," the other half of iwork represents another $40], then buy "Pages." And, if you are a novice with respect to not only page layout programs but also to very robust word programs like "Word," don't expect that everything will be simple.You will have to learn, but you will be rewarded relatively quickly. I thought, "I have MS Office for the Mac, why do I need iWork?" Was I wrong! Okay fine I suppose I don't really NEED it. But it is a great program, and worth the price. The ability to export my work as a .pdf file is worth the price by itself. The Pages interface is much better, cleaner than Word. And the templates are suprisingly useful. I created a web page by costomizing a template and exporting it as HTML. I twas easy and quick and the result looked great. Most of the people I work with are PC users and because they were unfamiliar with pages the web Page looked fresh, not like a modified copy of someone elses work. I use my Mac for research mostly and the ability to save documents as .pdf files is very valuable as they are searchable. With Tigers ability to search the text within a .pdf I can now save my work as a .pdf and later find everytime a particular work appears in the fines I've created. This has made cross-refrecing very easy and fast. I now use a program called Pyramid to create a "mind map" of my work and create links from the "map" to refrences in the .pdfs. I don't use Keynote as much. I t more visially appealing than Powerpoint and pretty easy to use. The ability to use Quicktime movies in the presentation is helpful and the ability to export as a Powerpoint file is nice. Keynote and Pages, the two applications included in iWork, were flawless under the Panther operating system. The Keynote app has always suffered from its inability to share with PC users. Oh yeah, I know I can convert a Keynote file to Powerpoint, .swf, QuickTime, or PDF, but the problem is that, especially when converting to PowerPoint, Keynote loses all its buttery-rich goodness. It's a PowerPoint problem, I realize, but without a Keynote viewer, there's no way around it. Thus, Mac folks must rely on Microsoft for slide presentations if they don't want to lug around their Mac laptop. Also, installing Tiger will mess up the purchased Keynote templates you have saved. Even reinstalling them won't help. My humble advice is to wait a couple of years until Apple fixes the bugs in Tiger, then MAYBE think about using a Mac. Until then, I'm switching back from a Mac to a PC. iWork comes with two programs, Pages (a word processor) and Keynote (Apple's version of PowerPoint).Both of these programs are very simple to use and very effective.Without a doubt, there are better programs available, but their cost several hundred dollars more and for the average user don't provided more bank for the buck. When I first turned on Pages I thought "How cheesey! "But as I got to using it I found my first impression was totally wrong.It's simple appearance is very deceptive.This is a word processing program that can do everything that is needed for ordinary personal documents and beyond.You have to be willing to explore the program to discover its gems, but once you learn were things are you will find it a very fast and easy to use.The real value of the program is its desk top publishing.The 40 some templates let you create profession grade newsletters, journals, resumes, invitations, marketing brochures, and many other kinds of documents.This is worth the price of the software alone.It seamlessly works with your iPhoto, iTunes and iMovies.This is one powerful piece of software.With it you can produce commercial grade color brochures or newsletters at an entry level price. Keynote makes wonderful multimedia presentations, and like Pages is seamlessly integrated with iPhoto, iTunes and iMovies.If you are using graphics or want to import photos into your presentation, Keynote is significantly easier, quicker, and simpler to use that PowerPoint.You can't miss with this program.You can even save you presentation as a PowerPoint, Quicktime, or PDF file or post it on the internet for all to see with the easy of a single click. 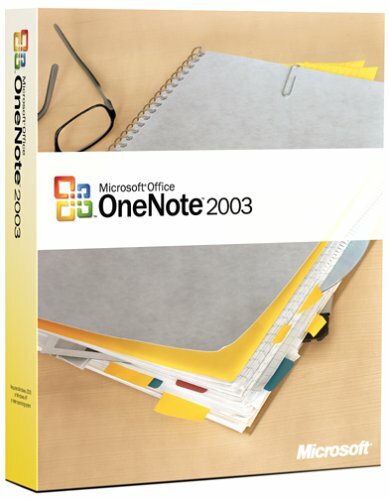 I have used both Microsoft Word and PowerPoint and keep them on my hard drive but rarely use them.As my skill with Pages and Keynote has grown I have found them to be more than sufficient in producing quality documents from personal letters, teaching handouts, to professional grade overhead presentations. For the cost, iWorks cannot be beat!And you will not be disappointed. Eh... Version 5 was fine. I've been a fan (and user) of Acrobat for many years, and am continually amazed by the number of organizations that *don't* circulate their documents in PDF format. I don't even *read* Word attachments anymore, for fear of viruses and because I *know* they won't look like the author intended. However, earlier versions have each added great new features, and the differences of v6 over v5 just don't seem substantial enough to warrant the price or effort of upgrading. For most users, I'd recommend saving dough by finding a copy of version 5, a vast improvement over versions 1 thru 4, and of course a conceptual and practical leap (or three) beyond sharing documents in native formats such as Word. It's obvious that Adobe feels safe and entrenched as THE maker of PDF creation software, because Acrobat installs like a herd of elephants moving in to your computer. It completely re-worked my MS Word toolbars and would not allow me to restore them the way I want them. (Even after un-installation, there is still something at work against my normal.dot template.) Other applications felt the impact, too. All I want is a way to make PDF files, not a new lifestyle. Unfortunately, Acrobat 6 could not deliver the PDF files for me. On a P4, 1.8 Ghz system, I allowed it to process my Word document for 5 hours before I gave up and had to get some real work done. I went and found activePDF Composer, which handled the same Word file and delivered my PDF file in just 10 minutes. Like 6.0 Professional BUT it's causing system problems. I have only installed the 6.0 Professional and have the proper support structure and space.6.0 Professional works fine but I have a brand new batch of glitches in the rest of my system. I spoke with Adobe today and they confirmed my conclusions regarding their "security" features. While they state in their advertising and by phone through customer support that you can disable unauthorized people from saving, using "save as", and emailing files made secure by you, the originator, it is indeed UNTRUE. Confirmed today by phone, after close to a dozen calls, readers of "secure" documents, can indeed use the aforementioned commands to commandeer your proprietary documents and drawings. 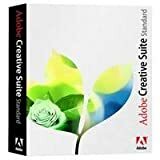 You can, however, get the features they claim to be included in version 6.0 (and upcoming 7.0) through Adobe Solutions, but to the expense of roughly $2000. As if this wasn't enough, once you get the software and start to use it, Adobe adds a disclaimer that users of some third-party, non-Adobe pdf viewers, can access your "secure" documents. Undoubtedly, the remaining features of their product are of great value, but these misrepresentations and untruths in advertising noteworthily deserve 1 star and a place in the hall of software shame. P.S. Version 7.0, soon to be released, has the same misrepresentations. Note: This upgrade is for licensed users of Acrobat 4.x, 5.x, or 6.x Standard only. I upgraded from Version 5. I don't use very many of the features. But the big difference I see is, files sizes seem to be greatly reduced. Something I would scan and be 10mb, now might be 2mb. This is just opinion, nothing scientific. The interface takes some getting used to, a bit different. Overall for the price ($99 - Less $20 Rebate), a great deal. I find that the new version 7 of Adobe Acrobat loads faster than version 5, both stand-alone and within my internet browser.Also, the new version is better integrated with the browser and with Microsoft Office.I believe Adobe heard and responded to the complaints about version 6.There are many other features which I have yet to try but certainly look worthwhile.Kudos for what I see as a substantial improvement.I recommend. For the busy Mac user who needs access to PC-only files and applications, there's Microsoft&reg; Office 2004 for Mac Professional Edition. Boasting all of the breakthrough productivity features of Office Standard Edition, it also includes Virtual PC for Mac Version 7 with Windows XP Professional. Its the easy way to manage, create and share your brilliance with anyone, including those in the PC world. For professional users running Mac OS X version 10.2.8 or later who need Virtual PC for Mac to run PC applications on their Mac. Innovators cross-pollinate ideas and information, and so should their tools. The new features in Microsoft&reg; Office 2004 for Mac arent constrained by boundariesin fact, many of them are designed to give you access to your ideas and information from every program in the suite. Thanks to input from thousands of Mac users, Office 2004 contains tools that are more integrated and intuitive than ever. Unicode Support:Now you can display most non-Roman fonts with ease and take advantage of the long file name capabilities built into Mac OS X. Save Image to File:Save embedded graphics to a separate graphics file in GIF, JPEG, JPEG 2000, PNG, PSD or AppleWorks Graphic format. Formatting Palette Transparency:Make the Formatting Palette translucent so that it no longer obscures your underlying document. Error Reporting:Automatically generate and send an error report to Microsoft for analysis if an Office 2004 application crashes. VP 7.0 is SUITE now that i finally got it installed! A great bargain - you get full office Professional, VP and full version of Windows for under $300 dollars. 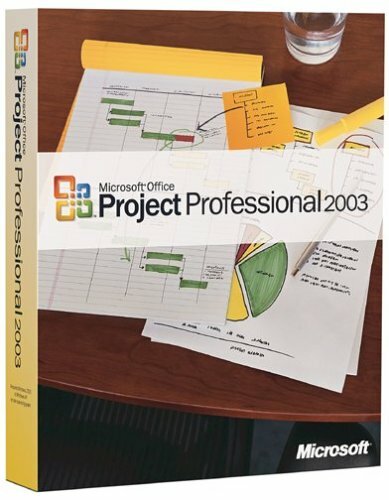 After waiting for months and months for Office 2004 Professional to be released, when it finally came out I was ecstatic. One problem: VP 7.0 wouldn't install on my G5, only on my laptop. I called Microsoft support and within minutes they told me that they were working on a patch for machines with over 2.0 GB of ram. I downloaded the update a week later when it came out and everything is now golden. The moral of the story is that Microsoft underestimates the needs of Mac users because they are used to wimpy PCs that have no ram! I purchased the upgrade since I'd already bought both Office v.X and Virtual PC 6.1 last year. Enjoy improved performance:With improved performance you can quickly convert, collect, and organize Adobe PDF documents. Extend commenting capabilities:Enable anyone who uses free Adobe Reader&reg; 7.0 software to actively participate in reviews. Easily design Adobe PDF forms:Use Adobe LiveCycle Designer 7.0 software (now included with Adobe Acrobat 7.0 ProfessionalWindows&reg; only) to create PDF forms that look like the paper forms they replace. Incorporate business logic, such as calculations and data validations. Organize Adobe PDF documents:Quickly find a list of Adobe PDF documents you have recently opened. View them as thumbnails, and drag and drop files into related collections. Enjoy improved attachment capabilities:Easily attach source documents such as spreadsheets, multimedia files, images, and drawings to an Adobe PDF document. Note: This upgrade is only for licensed users of Acrobat 6.x Professional. Don't take my word for it that's a quote from the title of a recent post excoriating this irritating and increasingly bloated product on Slashdot. Be warned: Adobe has not learned its lesson, and despite the outcry that followed the release of version 6, this latest release of Acrobat continues Adobe's aggressive trend of intruding into your desktop environment, again, as in version 6 without providing an easy way to undo the damage once its done--in fact, it's now nearly impossible. Like earlier releases, this version of Acrobat adds startup macros and new toolbar buttons to your existing applications and adds menu entries to your desktop "right click" menus. Adobe argues that these are conveniences, but they are entirely unnecessary (for most of us "printing" to Adobe PDF achieves the same result, is much more convenient, and a more natural model), and clutter what for most users is either a too-crowded user interface (for those who don't have the knowledge or patience to customize it) or a carefully tuned one (for those who do). Unlike many well-behaved applications that provide obvious ways of avoiding this kind of intrusive and disruptive behavior (e.g. through a simple checkbox option in a settings dialog), Acrobat's "option" for disabling this behavior, once deeply hidden in the setup process,is now almost completely absent. To disable the "Convert to Adobe PDF" button that mysteriously appears in the Outlook mail editor, for example, one has to be sure to choose "this feature will not be available" from the "Microsoft Outlook" option under "Acrobat PDFMaker" under "Create Adobe PDF". Simply deleting the button using Outlook's toolbar customization feature will not work: it comes right back when the editor is next opened. Similar problems arise in Word, Excel, Visio, Project, and Internet Explorer. And there's simply no way to get rid of the never-used "Convert to Adobe PDF" and "Combine in Acrobat..." entries in that appear in the desktop context menus for files (even if one installs none of the Acrobat PDFMaker features). For the technically inclined wishing to repair some of the damage that Acrobat 7 does, there are complex but largely effective step by step instructions available on the web, but even the authors of these are driven to despair by version 7: ("Adobe has really pushed the boat out with Acrobat 7 and managed to screw Word royally") . Experienced Acrobat users will also notice that this version continues another frustrating trend for Acrobat (and most other Adobe applications): it is yet again slower to launch than the previous version. In fact, on my 2 GHz Pentium 4, it takes longer to launch than the entire Visual Studio .NET development environment, and longer than the boot sequence for Windows XP! There are other minor problems as well (arbitrary rearrangements of menu and tool bar items, etc.) but these two major flaws are more than bad enough. Unless you really need the latest Acrobat features, you should probably avoid this upgrade. And if the "improvements" in this release are any indication of where Adobe plans to go with future releases, it may be time to start looking elsewhere for a tool for digital document management. Fortunately, there's no reason at all to upgrade. Version 7 offers no usefully new features, so you can (and should) avoid this one (at all costs). If you use Microsoft Office (Word, Excel) don't buy it!Links to your previous .pdf simply don't work.Adobe knows about it, but have no viable work around.Stick with prevous versions. Simple. It loads like a blaze. Sure all the new frills and features like easy annotations are neat, but the speed of 7.0 alone makes it worth every dime. Especially if your current Acrobat is the half-baked clunky 6.0.x that burst through the gates before it had legs. Honestly, I don't know how much more they can improve Adobe Acrobat.It is an excellent product, and a god-send for electronic file management. I upgraded from version 6.0.The only problem I had with 6.0 is that it seemed terribly slow. This new version seems much brisker.It loads quickly, and files seem to "print" to it much more quickly than version 6.0.I do not utilize the "one-button" feature it provides in MS Office and other programs.I try to keep all my programs as non-integrated as possible, because my previous experiences showed that they really, really bog each other down, no matter how much their makers claim they won't. I don't come close to using all the features of Acrobat, but for my needs, it far surpasses anything else I've tried (or researched). If you're having problems with version 6.0, or have an older version that you just want upgraded, I strongly recommend this.However, I don't foresee ever needing to upgrade Acrobat again. I have been using v.7 from the last week or so and i am very pleased with it. It loads very fast (unlike all other adobe versions), the conversion to PDF from doc or ppt files also is much quicker. I have not encountered any problems yet, but its only been 7 days since i am using it..
By the time I was done reading the reviews for Adobe Acrobat 6.0 I was depressed. Not only do I not have Windows XP, or Windows 2000, or NT installed in my machine (The only operating systems that will work with 6) I also couldn't muster up the confidence in the product after so many people were giving it the thumbs down. I want to create an eBook, and Adobe Reader is the most popular reader out there, with some 400 million, to a half a billion users with it installed. What a dilemma. I kept coming back to read some more. Finally I found the answer. I bought a new Adobe Acrobat 5.0 here at Amazon from one of their vendors, and it works great with my Windows 98SE. I planned on buying the 6.0 upgrade after they got the bugs out, and or I got a new computer with XP. Then I found out that 5.0 was the only version before, and that was the professional version. 6.0 Standard is a geared down version of 5. Ok, so it has some additional features, but it is missing all the rest of the professional features that 5 has. So what's the skinny on the deal? For what I paid for a new 5 that is the full program, unregistered, and upgradeable, plus what I would have to pay here at Amazon for the 6 Professional Upgrade, I saved 80 bucks, and wound up with both versions 5 and 6 pro. Which as I mentioned are both professional versions. If I bought 5 and upgraded to 6 standard, I would only spend a little more for both versions. (About 4 percent more for standard, and about 20 percent less for professional) That way if 6 standard turned out to be as bad as many were saying it is, I would have 5 also. In the final analysis, I am using 5 and am super excited about the new capabilities that Adobe Acrobat gives you. I'm hoping that by the time I get a new machine with XP on it, Adobe will come out with 6.something, or a second edition of 6 etc. with the fixes built in. I'm not the only one to come to this conclusion. I noticed in the sales rank at the time I bought it and wrote this review, that 5 was outselling 6. Also I noticed that in the "Those who bought 5 also bought this" section, it had a special note that said, 47% of the people who bought 5 also bought the 6 upgrade. If your running XP, 2000, or NT, get them both. That way all the bases are covered. Check out the reviews on 5 you'll be surprised how everybody raves about it. To be perfectly honest with you, if I had an XP machine, I would have ordered the 6 upgrade at the same time. Hope this helps. Yes indeed Adobe Acrobat is too expensive, but, when considering the alternatives of buying other brands of PDF software that have less than pleasing quality, it all boils down to choosing the product that has the highest quality. To my knowledge, Acrobat is still the best PDF software available. My personal needs are to create PDF files, encrypt them, require passwords to view, and restrict the user from printing and copying. After testing a couple other PDF products, I quickly discovered that their security was overly easy to bypass, no I take that back, they were *ridiculously* easy to bypass. Adobe's security has so far proven to be usefully solid. 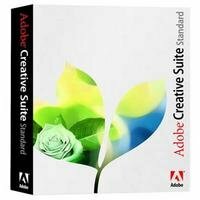 Since Adobe provides limited public information about their products, I recommend that you first buy a book teaching how to use an Adobe package and read it through so that you will know what the software actually does and does not do. Yes, I agree, having to purchase a book and spend the time studying is not the prefered way to learn about any product, but the few dollars invested can easily pay for itself by your knowing which software to buy (or more specifically, what not to buy!). What has amazed me the most with my Acrobat experience is when I had to call Adobe customer service to get a complex upgrade to version 6. Not only did the girl answering know what I was talking about, she also accomplished the entire order within that one phone call! WOW! Customer service like that is unheard of today. Apparently Adobe does care about its products enough to hire quality employees, and with that level of care, I feel more confident that I made the right decision choosing Adobe. Too, I purchased Acrobat from Amazon for the same reason of wanting quality service. There are other PDF products available, some are even free, but for those of us who prefer quality and usefulness over initially lower costs, Acrobat is an intelligence choice. Choosing the right product today, the one that does not crash nor take time away from our work to fiddle with settings, gives us more time to whine about the costs later. If Acrobat were less expensive, I would give it five stars. I use Adobe Acrobat for many things--creating PDF files, editing them and writing documents for work. But if you visit web pages and want to save or print them, the Adobe Distiller is really essential. The Distiller acts like a virtual printer, and saves a web page view as a PDF file, complete with images. Unlike saving a web page, which relies on being on the internet to bring up linked photos, the PDF captures the pictures and creates a document that you can store away. Even if the webpage is taken down or altered, you have a copy of it. Web pages are rather ephemeral; they come and they go. This is a good way to document them. I don't find the interface particularly easy to use--it's not like the Microsoft Office package and the icons are all new to figure out. The price is somewhat steep, though it's been lowered recently. 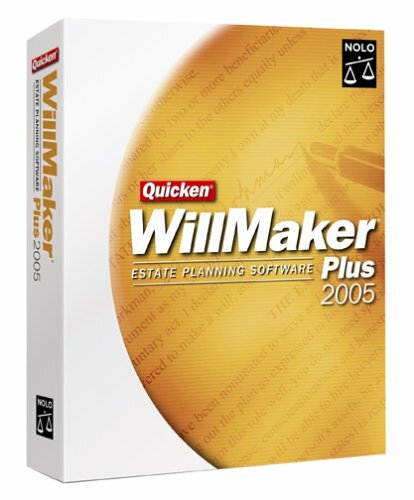 Despite these criticisms, I would not be without this software. It's probably one I use more than almost any other on my PC. I didn't understand the multiplicity of ways in which Acrobat can be used until I took part in an Acrobat focus group. The documentation is awful and even the "official" Adobe instruction books (which are expensive) are no better. That said, as I have gotten to know the product, I find myself using it more and more. It is particularly useful for file-sharing -- unlike MS Office files, which will repaginate for different users, the Adobe .pdf format is a graphic one, so that everyone who looks at a document is literally reading off the same page. It is also possible to store large amounts of information in relatively small files. I know that because I know that files I pull down off the Web are relatively small, but being able to do it myself has proved elusive. There are some useful web pages on the topic on Adobe's website, but that too is poorly organized. When I installed my first Paperport (v7), it was one of my top 3 programs of all times. Since then, PP has gone downhill with every major revision. It took me a year to get through the fatal bugs in v9, although it will still crash from time to time for no apparent reason, the only software from my 142 installed programs to do so. Of my 3 big reasons of use (search, compressed document format and document edit), I use PP only for edits of my scans, as Acrobat (for archive format) and Copernic (free) do a much better job in the other two departments. In light of this track-record, v10 is an insult to injury as v9 should have been fully cleaned up before a new offering. I fervently hope the company can stitch the product up as I do not yet wish to abandon an old favourite. I normally hate writing such reviews as all the negative publicity affects product sales, on which depend many jobs. Much hard work goes into product development so it is with a sad heart that I am moved to write this review, moved because a company could be so greedy to continue to milk its loyal customer base with half baked offerings. If this were a car, the streets would be littered with accidents. I have used PaperPort since version 8. Version 10 should be much better. It has some nice ideas added. They just don't work in the first release. The other reviews of this product spotlight the defects in the initial release. It is usually a good idea to wait for the first patch before writing any review of a product. But it is not four months since ScanSoft allowed this mess out the door, and there is no sign of progress. Listen to what other people have said. DO NOT BUY THIS PRODUCT UNTIL THEY MEND IT. I've been using Paperport for years, started before v7 was ever released, and made every upgrade along the way.Each verson was always a nice improvement, espec v9 ...but NOT v10.Stay away from it ...buy v9 instead. If you were a v9 user, and upgraded to v10, y'all know what I mean.Simply stated, it's trash ...full of bugs, slower than ....slow.Oh so frustrating. 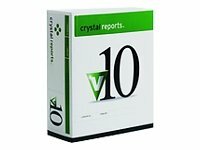 For those of you who never used Paperport before, you MIGHT like v10 ...but that's because you don't know any better. ScanSoft NEEDS A MAJOR!!!! BUG FIX for v10, if even that will ever do the job. Version 10 should have never been released in its current state. For any newbies to Paperport ...buy v9.It works smoothly, is faster ....and it still has plenty of features that you will like, and other features, once you better learn the software, that you will learn to exploit with satisfaction. The so-called new stuff that v10 supposedly offers is not even close to significant enough for one to have to endure all is 'bugs', inoperabilty and slowness. ...that you will quickly come to find out if you were a knowledgeable user of the earlier versions. I upgraded to v10 as soon as it was released, and have had to 'tolerate' it everyday, and do 'work arounds' from the way I previously used it, since the day I installed it (a few months ago) ....while waiting, and waiting ...and waiting for Scansoft to release a Patch/update. ...Well enough is enough.Tomorrow is April 1st, and I am no fool! ...I'm switching back to PP-v9. Like others who have commented here, I have been a very happy Paperport 9 Professional user for several years.Last month, when I got a new high-end laptop with Windows XP Pro and saw that Paperport 10 Pro had just been released, I checked it out and was excited about all the new features. However, from the moment I loaded it on my computer (and I should note that I am a VERY experienced computer user AND I actually read and follow directions carefully - so this isn't a case of some newbie who didn't know what he was doing) this software has been an unmitigated disaster!Everything ran at the speed of stone and my system crashed repeatedly.In the end, I completely re-imaged my computer back to the way it was when it came from the factory and re-installed all my software.I went back to Paperport 9 Pro and everything is fine again. This is my first Amazon review.I have been using Amazon since the dawn of time (1997) and this is the only product to move me so much as to break my silence and warn others. This product is practically non-functional.I have used PaperPort 9 for 2 1/2 years and happily so.I thought 10 would be much better, but it must have been a re-write, because it's very different. - Where it once was instantaneous to double-click on a thumbnail to view a document, it now takes 5 to 10 seconds. - Where once i could move a document between folders instantly, it now takes the same 5 to 10 seconds. - With Paperport 9, my scanner could run at top speed without stopping.With 10, my scanner overwhelms the app and causes it to crash if i let it run full out. Paperport is/was a great product, but version 10 is a complete waste.Please purchase version 9 and you'll be glad you did. Oh, and if you have problems with Paperport -- Scansoft charges you to talk to them about it.All technical support is on a pay-as-you-go basis, no freebies.There are google/yahoo support groups, but they offer little help. I have been using Omnipage Pro 12 for quite some time with windows XP and have had no problems. However there is no good reason not to use the latest of a product. I have not needed support but I figure if I ever did at least it will not be because I upgraded. It is interesting to notice that the voice recognition is awfully similar to that of the Office XP. I have yet to try the PDF conversions but this function removes the need to have a conversion package that is double the price of the upgrade. I have been an OmniPage user for several years and find version 14 by far the easiest and most powerful version.Its ease of busting .pdf files is incredible.Although it took me a few hours of playing with the software to understand some of its nuances, I find that I can scan, edit, and transfer into Word with ease.If I'm scanning a clean copy of a document, with my adf on my scanner, I can very easily scan in a multipage document, OCR it, organize it, and save to Word.Once in Word it is easy to convert the .rtf to .doc, and wham! it is ready to go. I have some difficulty in editing graphics linked to text in multiple columns once it is in Word, but it is becaue I don't understand the complexities of how Word does formatting, not because of any deficiencies in OmniPage 14. Yes, there is a learning curve with the program, but that is to be expected when purchasing or upgrading any software, isn't it? Significantly better than prior versions. 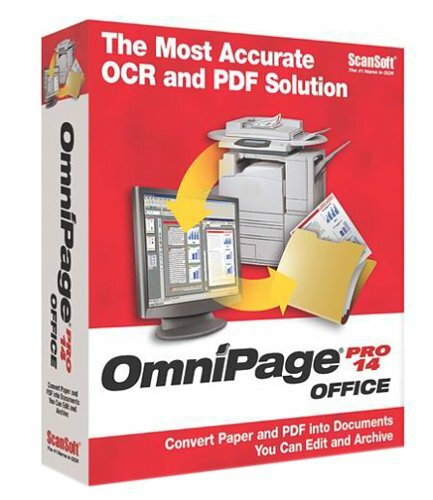 Over the years, Scansoft has developed an ugly reputation for shipping software before its prime (Omnipage Pro 12 locked up under Windows XP), but this version runs clean out of the box and the accuracy is excellent. The interface is still not user-friendly, so you'll spend a lot of time trying to understand it. The translation from PDF into Word works sporadically. In some cases, I had to translate from PDF into TIFF and then back into Word using OCR.